Last Game: Last night at home vs. the Worcester Sharks, the Pens lost 4-2. Tom Kuhnhackl assisted on both Penguins goals and was named third star of the game. 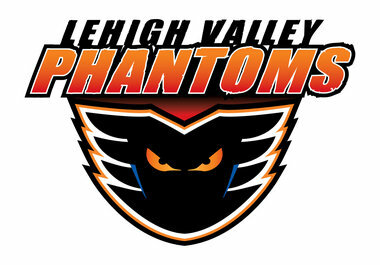 For Lehigh Valley, the Phantoms were in Binghamton last night and won 4-3. Jason Akeson had a goal and two assists, good for third star honors. Last Meeting: Last Saturday night in Allentown, the Penguins lost 4-1. Andrew Ebbett scored for Wilkes-Barre in the loss. Why you should care: Penguins are looking to shake what it is that ails them when they play this Phantoms team. Lehigh Valley isn’t making playoffs this year but still give the Penguins fits whenever these two teams play. Television: AHL Live and MyNetworkTV local in Pittsburgh as well as MyPittsburghTV local in the Pittsburgh area. Other Game to Watch: I am giving you two. Springfield vs. Portland and Albany at Binghamton. If the Penguins are to clinch their thirteenth straight trip to the Calder Cup Playoffs, they need to win tonight first, then have Springfield and Albany lose in regulation tonight and they are in. Do you think they are resting Murray to avoid fatigue before the post season? No. I’m not picking that up at all. Just seems the team plays much better in front of Murray so rolling Zatkoff back to back, and against a hot Sharks team was odd. Now being there last night Zatkoff wasn’t to blame for the loss. That being said, I have seen Zatkoff against LV opening weekend and pink in the rink night and maybe giving Murray a shot at them makes sense. Love the blog. Also appreciate you answering questions hard to stay on top of everything from 300 miles away.